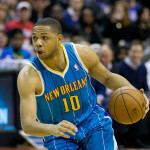 This former Clippers shooting guard now playing for the New Orleans Pelicans likes German technology. 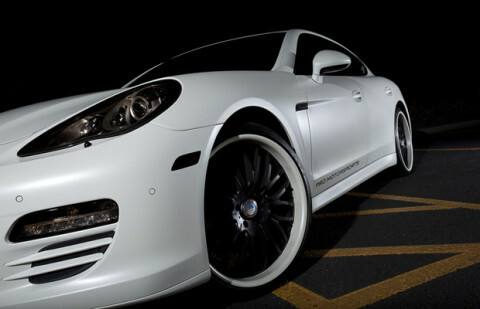 Not going with the trend of flat black on black, Eric Gordon decided on this stunning matte white for his Porsche Panamera. 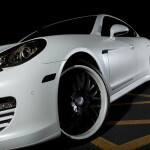 The white-lipped rims and smoked lights set this ride off perfectly.